I got to the woods at 12:09 this afternoon with a temp of 63, rain clouds, & breezy. As I was nearing my parking spot, a fox ran across in front of me from a big shag on the edge of the corn field into the woods. I thought to myself: “Self, I thought, that’s a good sign.” At 12:16, a bushy ran across the end of the opening wet to east. At 12:19, another one moved west to east stopping a couple of times but the grass was too tall for a clear shot. At 12:26, number 3 ran down a dead tree & disappeared. At 12:27, a fox moved across the opening, stopped, sat up, & stuck out a thumb as if trying to hitch a ride with me. Since he was within “ear shot”, I gave him a ride home in my Lean, Mean, Red Dodge Machine. That’s 4 bushies with the 1st 15 minutes of sitting down. 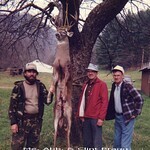 I don’t remember ever having that much action so early in a hunt & in such a short period of time. At 12:55, I heard a slight noise to my right & there was a fox rooting around in the grass about 5’ from me. No shot. At 01:25, I walked through the west woods & found a large shag with a lot of cuttings. Might have to try it next time out. I sat back down at 02:00 &, At 02:37, a fox came down a tree right behind the slingshot tree & disappeared. I walked the east woods between 03:13 & 03:45 with nothing sighted. I headed home at 04:00 with the temp up to 75 but still cloudy & breezy. Weather permitting, I plan to hit the woods behind the house in the morning. As many squirrels as you eat, George, can you say if a red tastes better than a grey or vice versa? I gave up shooting reds several years ago unless they really get on my last nerve. years hunting here, the only 1 I have seen in the woods. They are all citified. They all go into the same dishes so the meat is all mixed together. I’m sorry, George. 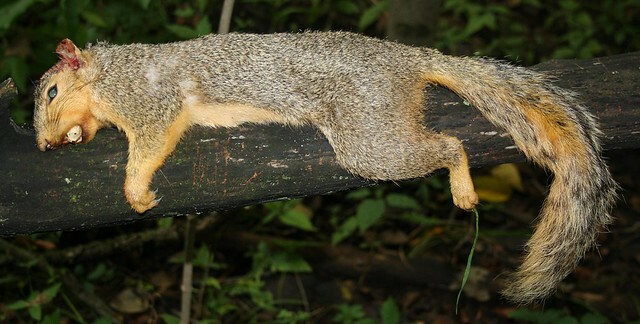 I meant the difference between grey and fox squirrels... My bad!! We have more greys than fox but they’re both plentiful. I don’t hunt them. Not a problem. Some folks call fox squirrels reds & I thought that's what you might have done. 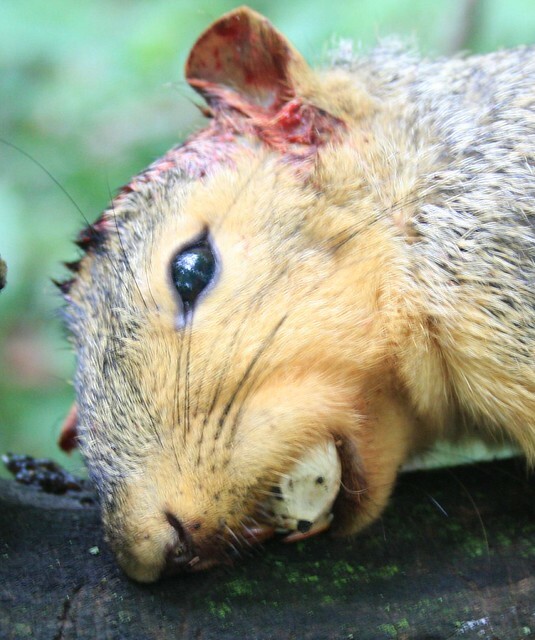 Here in pa fox squirrels are much larger than our greys - meat is tougher but tastes same. I think foxes are about twice the size of grays just about every where.